. Published on Monday, December 19, 2016 . 1. 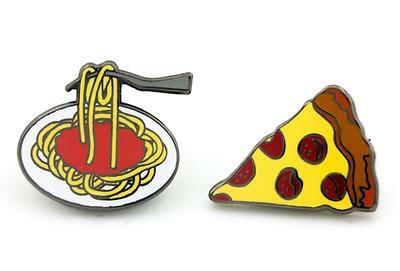 For your pin obsessed loved one, check out Pintrill. The pins average from $12 to $20. Check them out here! 2. For the photographer in your life, consider a hanging photo organizer. Perfect for reflecting on all your favorite memories. Get it on Amazon for $14.99. 3. For the puzzle-player in your life, why not gift them a snack puzzle cube to keep them entertained? A tasty twist on the classic Rubik’s Cube. Get it at Urban Outfitters for $10. 4. How about “The Book Of Questions” page-a-day calendar for your loved one’s desk? And tell them to be ready for some thought-provoking questions! Grab it at Urban Outfitters for $14.99. 5. For that thirsty friend in your life, you should consider a Contigo glass water bottle. Because staying hydrated is important. Get it at Urban Outfitters for $18. 6. Help your loved ones stay organized with this Knock Knock sticky notes packet. Also, because sticky notes are fun. Buy them on Amazon for only $12.55! 7. Don’t want sticky notes all over the desk? You can help keep your loved one’s computer monitor and desk organized, with this computer monitor message board. Because everyone can use a reminder or two. Get it on Amazon for $8.99. 8. For the kid-at-heart, help keep their pens and pencils organized with these ZIPIT monster pencil cases. Because these are too adorable to pass up! Prices range from $6-$8 depending on color, but you can get them here. 9. For the few times it rains in Southern California, consider gifting this white clouds folding travel umbrella. Because what’s an umbrella? Get it on Amazon for $16.51. 10. For your eco-friendly friend, consider gifting a BAGGU reusable shopping bag three pack. Now all they have to do is remember to bring them to the grocery store! Grab them on Amazon for $20. Ready to tackle your holiday shopping list? Share with us your unique gift finds by using the hashtag #CampusCropChat on Facebook, Instagram and Twitter. Don’t forget to follow us on Snapchat @ASICPP!